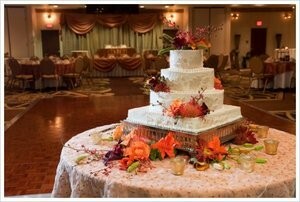 Cake essentials - Weddings Guide. 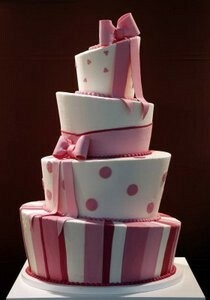 Are wedding cakes an essential part of the day, “yes and no”? Traditionally guests expect a slice of the action, but if you are on a tight budget then remember that elaborately designed wedding cakes filled with rich ingredients can take a huge slice out of your bank account. If the wedding cake is to grace the table as a centre piece, then bear in mind that cheap wedding cakes can be just as tasty as an expensive one. The wedding cake aside from the blushing bride herself will attract a lot of attention, especially for those just attending the reception. You can save a lot of money by baking the wedding cake yourself or ask a friend. 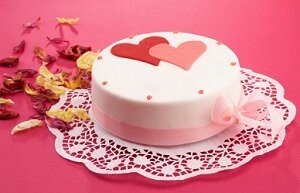 Your friend can donate her time baking as a wedding special gift. Do the maths on how much cake you need for the number of guests and if you want a more impressive multi tiered caked than you need to feed your guest consider a “fake” tier – most wedding cakes displayed in shop windows are not the real thing, many are card board cut outs.